Revolution and Beer…of the week: Brunehaut Gluten Free Belgian Amber Ale and Blonde Ale. Continuing with the theme in which all things in the Universe seem to intersect at that beautiful moment in which activism and beer meet. It is what we do at Revolution and Beer. Activism isn’t about over-turning cars, loud chants or Occupying public places. Activism, true activism covers a broad spectrum depending fully upon the injustice or cause being championed. Boiled down into a common denominator, it is about lessening the burden, or sharing the burden from neighbors and those struggling against burden. May is Celiac’s Awareness Month. Brian and I love food and beer, and since there is no cure for Celiac’s currently, what could prove a better mission? The only treatment for Celiac’s is dietary maintenance. Earlier in the month, we talked about a line of gluten-free beers from New Planet. 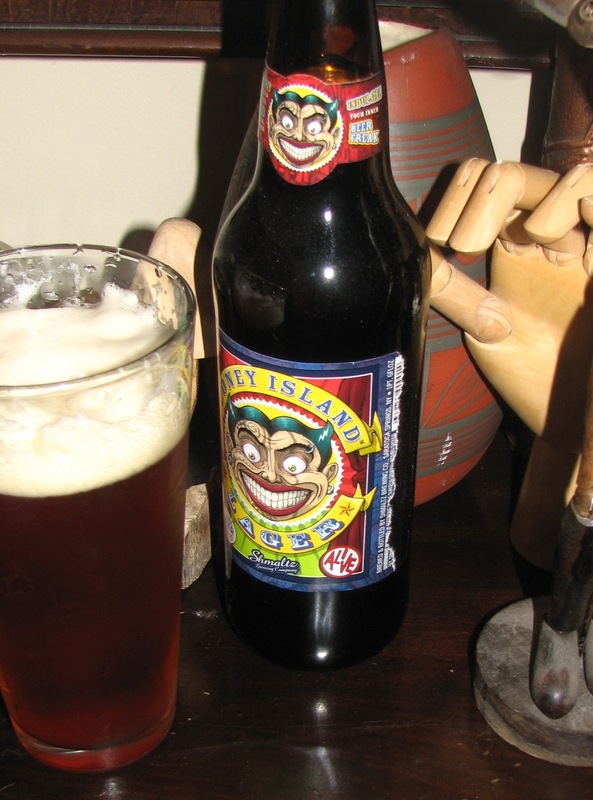 The regular beer drinker will note the difference in brewing gluten-free beers with sorghum syrup rather than malts. In a pinch, these beers would pass most tastes. For those with Celiac’s or other’s with wheat sensitivities, they are an anchor to a more normal-feeling diet. One of the three from New Planet was very enjoyable. Check out the piece for which beer I’m talking about. But alas, the Belgians have weighed in with two strong offerings in the Gluten-free arena. Brewed by Brasserie De Brunehaut in Brunehaut, in southwestern Belgium, Brian and I sampled the Amber Ale and Blonde Ale, both touting a respectable 6.5ABV. Following a 1000 tradition, these beers reflect that value and artistry of that legacy. We could not tell, as with other gluten-free beers, that they were indeed gluten-free. Immediately we started talking food. 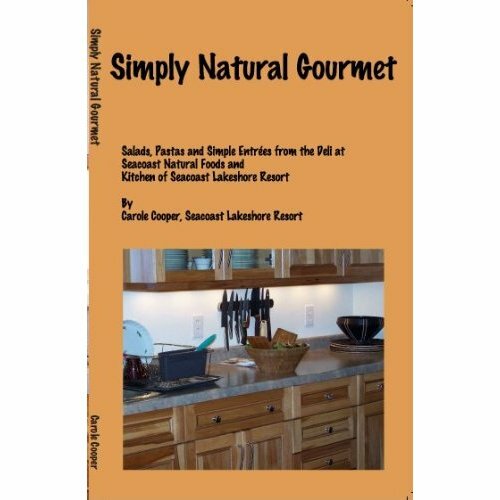 Because of the health dimension to the topic, we reached out to our friend, and author of Simply Healthy Gourmet, Carole Cooper, living an enviable existence in the wilderness overlooking the Lake Superior shore. A warning, if you have an issue with delicious food, please leave the room now. We’ll wait a moment for those folks to leave. A little more. Some folks seem to be moving a little sl…Okay, their gone. Let’s talk food. It’s grilling season, so I quickly inquired about a hearty meet dish that would highlight both of these beers simultaneously. The Amber Ale, has these really pleasing toasted hops flavor. The Blonde was full-bodied and a bit sweeter, pouring to a great clean golden hue, with a strong white head. Carole instantly referred me to a roasted lamb dish on page 75, that I thought was the perfect choice, the herbal earthiness of the lamb was a natural for these beers. But her side dish in the book was made with Orzo pasta, a bit of a no-no for the gluten in the pasta. Try as I might, I couldn’t find a gluten-free Orzo. “How about a Basmati rice?” she offered as a substitute for the Orzo. Add to the basmati, chopped asparagus, juicy, sweet red grape tomatoes with a drizzle of Olive oil and a squeeze of fresh lemon, and you’ve got a tasty and satisfying side dish. But here’s the kicker, not all rice is gluten-free. Commercial or restaurant rice can have ingredients and additives that add gluten. Make it fresh yourself with a teaspoon of cumin for that smoky taste, or about a half teaspoon of mint to the cup of rice, pinch of salt and 13/4 cups of water for a different twist; Gluten-free and delicious. We truly enjoyed these beers, and were tossing around possibilities for both gluten and gluten-free dishes. And we are really interested in readers sharing their gluten-free recipe pairings that can be shared with our gluten-sensitive neighbors. 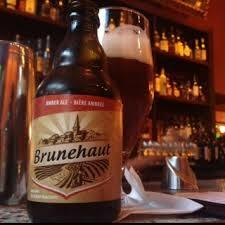 In the meantime, kick back with an Amber or Blonde Ale from Brasserie De Brunehaut. You’ll be pleasantly surprised. See, who said that activism couldn’t be fun, and delicious! Like us on Facebook at Revolution and Beer. If you have a cause to champion, please let us know as we work to support and nurture the grassroots network for Chicago activists and community organizers. Catch the beer of the week review with 900poundgorilla and check out the weekly food pairings for our featured beers with innovative and original dishes by Chef AJ Francisco and Simply Healthy Gourmet author Carole Cooper at revolutionandbeer.com. And find all of the great beers we review each week at Louis Glunz Beer Inc. This is not about gun banning, a fear of guns or an infringement on the Second Amendment, which very clearly describes a “well regulated militia.” The “regulated” word is critical to mature, rational and moral discussions about the place and importance of guns in contemporary American civil society. That discussion is important in stemming the bloodshed on America’s streets, but also important to people who wish to protect their families. However, the NRA and “gun pornographers,” as Turck describes them, have chosen to raise the rhetoric to a level of hysteria and paranoia. Rather than treating weapons as a tool, the NRA has promulgated them to a near religious fervor, and is forcing gun proliferation upon Americans everywhere in civil society. This counter-protest, dubbed “Target July 4th”is not about Mr. Kokesh or Turck, but about returning the discourse to a rational, reasonable and responsible level. Kokesh has promised to lead a march of armed protesters across the Memorial Bridge at noon on July 4th. Currently Kokesh claims that 3,000 armed supporters will join him. Turck vows to meet him at the center of the bridge with fellow activists and peacefully prevent the group from entering Washington, but Turck dismisses the idea of potential violence, saying that he believes that this instead should be viewed as an opportunity for substantive dialogue. It was in Sarajevo at the height of the siege where he met and married his wife, writer and Artist Ana Turck. FOX NEWS, ABC, CBS News, the Chicago Tribune and The Joliet Herald covered their reunion after the war. He helped organized relief into Rwanda during the 1994 genocide and publically supported pro-Democracy protesters in China. Turck hosted the popular segment “Revolution and Beer,” devoted to grassroots activism and craft beer with cohost and partner B.L. Murray on WCPT, Chicago’s Progressive Talk. In June they move the show to television. The podcasts can be found at www.revolutionandbeer.com. Turck has been a guest on WMAQ-TV, WLS in Chicago, WCPT, WBBM radio, National Public Radio, Best of the Left and the Thom Hartmann show. He has spoken frequently on Human Rights, Genocide and Nationalism. 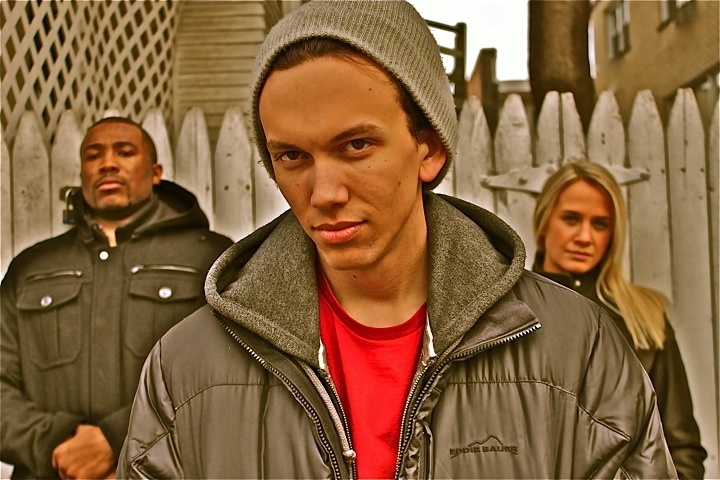 In 2011, his play in support of the Occupy Movement, “Occupy My Heart-a revolutionary Christmas Carol” received national media attention and filled theaters to capacity across Chicago. He remains an activist to the cause of human rights and international peace. It should come as no surprise to readers to this blog that we have taken significant issue with Chicago 49th Ward Alderman Joe Moore. He is a registered democrat, which for a Progressive means the highest sort of scrutiny. We all know the hypocrisy and pandering of the Republicans. We will not tolerate reactionary and exclusionary, or corporately influenced policy from democrats. That does create something of a conundrum for democrat voters. Demonization of democrats by democrats feels like something akin to Hari-kari. And all too often our elected officials throw us scraps, which we grasp desperately at. A recent post from a friend on Facebook illustrated that point. We thought it important to say a bit about Mr. Moore’s record. Here is the key difference; republicans attack other republicans when they deviate from the lock-step ideology. As concerned, engaged citizens, we reject the idea of sacrosanct party politics. We are not beholden to a political party, but to human rights, human dignity and community. As far as Moore’s participatory voting is concerned, it is a slight of hand, and merely a token effort. He stands solidly with the administration on school closings, and wholeheartedly champions opening charter schools. 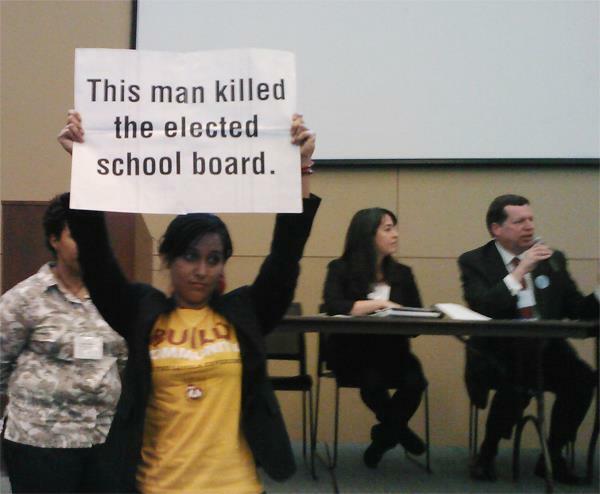 His participatory voting place is IN a charter school, as a means of legitimizing them to the community. As for the voting, people are voting for park benches not policy—sidewalks; not safety. Though the constituency of the 49th ward is very diverse, the voting record so far has been 70% white, educated property owners. That could be a lack of interest in the community, or it could more likely be a failure of outreach by Moore’s office. The rallys and meetings I have been to around the ward are far more diverse than the current voting block would imply. The good alderman might engage that diversity by getting out into those communities and confirming their agency and investment. Moore has not appeared nor have I seen public endorsement for peace initiatives in Rogers Park. He refused to address thousands of constituents back in March, hundreds of whom, including Revolution and Beer, ultimately marched on his home. The blight of East Howard Street is disgraceful. Storefronts remain empty. Current anchor businesses that remain there and which prevent a complete economic collapse of the neighborhood would be prime candidates for TIF funds. Invest in the community. Invest in small business, not in chain stores that draw business away from whole swaths of the community. Chris Patterson of the Neighborhood Recovery Initiative (NRI), Rogers Park Violence Prevention Coalition and the PeaceAngels told Revolution and beer that “Rogers Park is slated to receive substantial funds in the near future and no community organizations nor business I’ve talked to know anything about it. I believe Joe owes it to the people to receive input from them as to how they would like funds to be spent in their communities.” Not on water fountains, I would add, but on a future. Instead, the emphasis currently is on the Loyola corridor, which includes the expulsion of low income, fixed income, elderly and disabled residents by private firms-under the alderman’s nose. And in the neighborhood around the 49th ward offices reside an oasis of small theaters and bars catering primarily to his participatory voting constituency. Members of Occupy Rogers Park Chicago, who has taken a strong lead and stance on this issue, feel very strongly about participatory democracy, and any politicized manifestation of the concept that cheapens what should be a valuable tool of empowerment. He has dodged people and organizations within the community. Somehow he is always out of town or away on business. Hmm? Mr. Moore is a public official, his salary paid for with our tax dollars. And while face to face he is a nice enough bloke, who throws “great” costume parties, it is our responsibility to hold him accountable, and that we shall. I was privilaged last night to have one of the most purposeful and moving theater experiences yet in Chicago. Ana and I go to quite alot of local theater. We prefer the intimacy and energy of small theaters and companies that produce art for art’s sake. There tends to be a rawness to the pieces, an honest, untempered and untapered energy, unlike many larger venues or by more commercial companies. Stone Soup Theatre Project is one of those rare companies that makes their effort seem so much larger than the small core group of dedicated members and actors. Last night’s show, Tamer of Horses, was a sublime case in point. The play, sadly, ends its run today, though Stone Soup is already looking forward to their next project this summer. We had members of the company on the television show last month. It will air in july, amid their next run. Keep an eye out though, when Tamer of Horses, a beautifully and brilliantly rendered story, comes to your town it should be at the top of your must see list. If those actors are half as talented as the trio of characters from last night’s play it will be a memorable experience. Tamer of Horses is a contemporary tale of a runaway street kid named Hector, played here exquisitely by Chris Vizurraga, who takes shelter one cold winter night in a horse barn and is discovered by a couple struggling with their own issues. The couple, Ty and Georgiane, are played by local standouts, Meghan Powe and Steven Royce Stinson. They take the troubled boy in, pulling all three along a tumultuous and emotionally charged road fraught with tension, fear, misgivings and self doubt. Like life, those hardships are punctuated by illuminous moments of joy, love, comedy and enlightenment. The boy dreams of being a hip hop superstar, a dream that takes shape in moments of fantasy driven my a beautifully crafted original score by local artist AO, Animate Objects. We’ll bring to you much more in the coming months from Stone Soup. 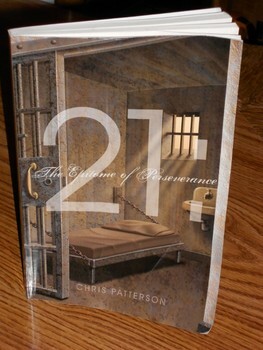 This summer they are adapting the autobiography of friend, author and anti-gang activist Chris Patterson, “21-The Epitome of Perseverance.” Chris’ story is powerful, but more powerful is the man behind the story. More on that to come. Until then, make Stone Soup Theatre Project a favorite and keep your calender open for their upcoming season http://stonesouptheatreproject.org/. ICMF spokesperson Dr. Lora Chamberlain today called the April 30th, Republican press conference on fracking led by Minority Leader Tom Cross “absolutely misguided”, and urged lawmakers to continue to block legislative maneuvers in the IL House, such as the one on May 1st by Rep. Mike Bost attempting to move the fracking regulatory bill, HB2615, out of the House Rules committee. “HB 2615 is insufficient and unenforceable, and will not protect our land, air, and water” she said. “It would give a green light for dangerous fracking in Illinois before legislators have a chance to review important new studies now underway, including the EPA report on water contamination nationwide and the $1million Geisinger study of the effects of fracking on public health in Pennsylvania, due out later this year. We call for Springfield to move on HB3086 instead, the moratorium on fracking with an independent science-based investigative task force,” Dr. Chamberlain said. ICMF asks legislators to slow down and study the science that is coming out, regarding the health, pollution, climate warming and earthquake risks of fracking. HB 3086, the moratorium on fracking in the House, carried by Rep. Deborah Mell, is currently stalled in the House Rules committee. ICMF calls on Speaker Mike Madigan to bring it to the floor. ICMF also calls on Senate President John Cullerton to allow similar moratorium legislation to move forward in the Senate, so that the risks of fracking can be discussed in depth by our state legislature. ICMF members will be going back to Springfield on May 8 to call for action on the moratorium bills. On March 12, over 100 citizens lobbyists from ICMF and Illinois People’s Action participated in an all day lobbying event to push for a moratorium on fracking. Yesterday, May 2nd, there was a very successful Food and Water Watch campaign calling for concerned Illinois residents to call the Gov, AG, Speaker Madigan and Senate Pres. Cullerton asking them to “kill the regulatory bill and slow down with a moratorium and investigations of fracking.” At the same time, there were many environmentalists in Springfield advocating for the moratorium on fracking. The legacy of the 98th General Assembly could very well hinge on how it deals, or fails to deal, with the issue of fracking. Spills, poisoned wells, pollution of aquifers and rivers, infrastructure damage, earthquakes, cases of cancer, neurological diseases or death have occurred in the states where fracking has taken place – to think that would not happen in Illinois would be magical thinking. Critics of HB2615 maintain that it is a sham regulatory bill, which gives only a fig-leaf of protection. Among its many inadequacies cited, the bill fails to limit the amount of water that companies can withdraw and provides for setbacks of only 500 feet from schools, hospitals, and senior centers. As currently practiced, fracking will consume hundreds of billions of gallons of fresh water in Illinois, and return it as toxic and radioactive waste. The State of Illinois has no viable plan for disposing of this toxic waste. Once contaminated, the water will be unavailable for drinking, agriculture, or tourism. The track record of the industry is one of frequent accidents and spills, with resulting contamination of local water supplies. ProPublica reported over 1000 such incidents nationwide in 2011 alone. The oil and gas industry has acquired leases in central Illinois, near the Mahomet aquifer, putting at risk the drinking water for 850,000 people. The industry, in talks with Madigan’s office, has balked at regulations to require a certified water well driller at each frack site. ICMF maintains that this reticence on the part of the industry to hire certified Illinois water well drillers gives clear evidence that the industry lacks the “good neighbor commitment” to protecting the water and environment of the local residents. In spite of industry promises of up to 125 jobs per well, employment and income figures in Pennsylvania, West Virginia, Ohio, and Texas show that fracking has not created jobs or prosperity. The jobs that fracking creates – few as they will be – are temporary and toxic. Critics of fracking fear that it will create a boom and bust economy as has happened in other states. “The industry projects from 1000 to 47,000 jobs, this is a pseudo-statistic with such a wide range as to make it meaningless,” charges S.A.F.E. 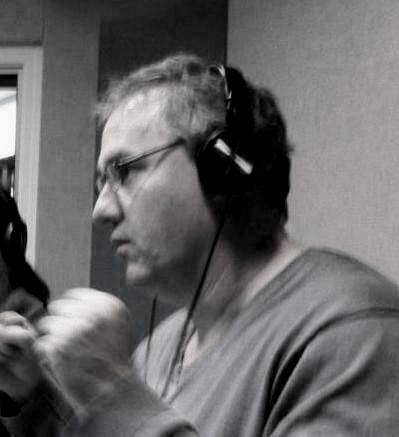 member Rich Fedder. Frack gas (gas obtained by high pressure, horizontal, hydraulic fracturing) has been touted as a bridge fuel. However, the 5-9% of methane released from leaking wells, according to a recent National Oceanic and Atmospheric Administration report, means that fracking will accelerate global warming far beyond the traditional impact of burning coal since methane is a potent greenhouse gas 25 times more potent that carbon dioxide. HB2615 makes no mention of earthquakes though the injection of fluids deep underground has been shown to cause earthquakes along dormant fault lines in Oklahoma and Ohio. ICMF is very concerned that fracking along the active New Madrid and Wabash fault lines in Southern Illinois may induce a major earthquake. “Fracking is an accident-prone, carcinogen-dependent, climate-destroying enterprise which uses our land as its factory floor and turns rural communities into industrial zones. Instead of subsidizing fossil fuels and nuclear energy to the tune of billions of dollars, we should be investing in long-term, green energy industries, such as solar and wind. “Yes, we want more jobs, but they should be safe, long term jobs. Fracking jobs have been called the most dangerous in the nation,” says ICMF member Rich Fedder. ICMF is a growing coalition of community and environmental groups which are working together to support a Moratorium on Fracking, the Illinois Coalition for a Moratorium on Fracking includes, Stop the Frack Attack on Illinois, SAFE (Southern Illinoisans Against Fracturing Our Environment), Citizens Act to Protect Our Water, Rainforest Action Network Chicago, MoveOn.org Illinois, PDA Illinois, Southeast Environmental Task Force, Chicago Area Peace Action, Rising Tide, the Chicago Chapter of World Can’t Wait and Illinois Citizens for Clean Air and Water. The Coalition works with other partners who support the moratorium as well such as Illinois People’s Action, Environment Illinois, Food & Water Watch and Sierra Club Illinois.